The only non-England players in the all-time XI are Australian legend Adam Gilchrist and Windies’ Brian Lara. The ICC World Cup 2019 is just a couple of months away and every team is preparing for the mega ICC event in England and Wales. England is one of the favourite teams to win the tournament at home given that they are the no.1 ranked team in the ICC ODI team rankings. 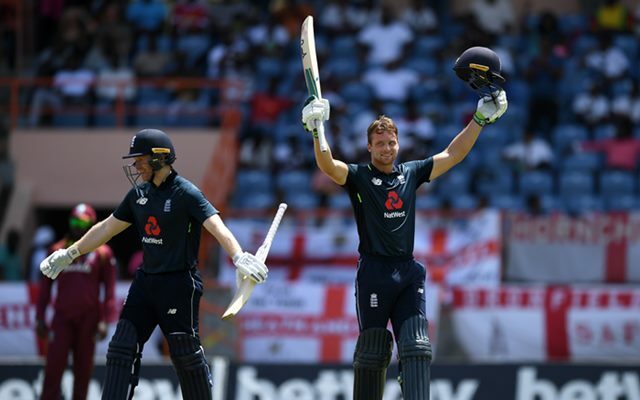 Eoin Morgan, the England skipper is responsible, along with former ECB Director of Cricket Andrew Strauss for the resurgence of England as a potent limited-overs team after the debacle which was their first-round exit from the ICC World Cup in 2015 which was played in Australia and New Zealand. England was dumped out of the tournament after a loss to Bangladesh. This led to wholesale changes in the team under Morgan and Strauss including bringing in limited overs specialists like Jason Roy, Jonny Bairstow, Jos Buttler, Moeen Ali and others in the team, which has led to England breaking the world record for the highest team total in ODI cricket twice and hold the record with the score of 481/6 against Australia. Recently in a conversation with ESPNCricinfo, Eoin Morgan revealed his favorite all-time World Cup XI. Morgan has been part of three World Cups already as he played in ICC World Cup 2007 for Ireland and 2011 and 2015 for England. Morgan’s all-time WC XI is filled with England players, some of whom have not yet played a World Cup yet. The only non-England players in the all-time XI are Australian legend Adam Gilchrist and Windies’ Brian Lara. Both of the players are among the greats of all time. Adding to it, Gilchrist was part of three World Cup winning Australia side in 1999, 2003 and 2007. He was named the Man of the Match in the finals for his century in 2007 World Cup final against Sri Lanka. Lara is one of the few batsmen to score 10,000 plus runs in both Tests and ODIs and retired from the ODI cricket in 2007 after West Indies’ exit from the World Cup at home. Morgan chose Gilchrist to open with Jason Roy, Jonny Bairstow and Joe Root follow at no.3 and no.4. Brian Lara comes in at no.5 with Jos Buttler at no.6 providing hitting power with Ben Stokes. Rashid Ali is the only spinner in the playing XI with Liam Plunkett and Chris Woakes taking on the pace bowling duties. Eoin Morgan’s all-time World Cup XI: Adam Gilchrist, Jason Roy, Jonny Bairstow, Joe Root, Brian Lara, Jos Buttler, Ben Stokes, Adil Rashid, Moeen Ali, Liam Plunkett, Chris Woakes.